BRYAN EATON/Staff photo. 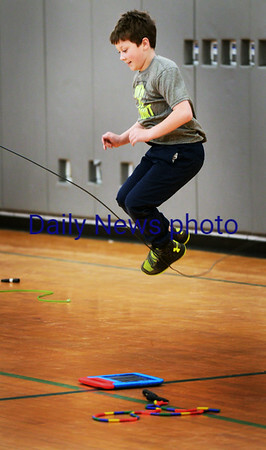 Carter Kehoe, 9, practices jumping rope in Linda Gangemi's physical education class on Tuesday morning. The students are getting ready for the upcoming Jump Rope for Heart event to raise money for the American Heart Association.